The puppies of this Hero Litter are with volunteer puppy raisers across these great states of ours. And while the H pups in the Midwest are blissfully snowplowing their noses through the latest frosty precipitation, their puppy raisers are trying to be happy for the pups in California and Florida. We are trying. But we have our challenges here. Because by the time we're white knuckling through these bitter February days, our daydreams of warm weather are getting rather desperate. 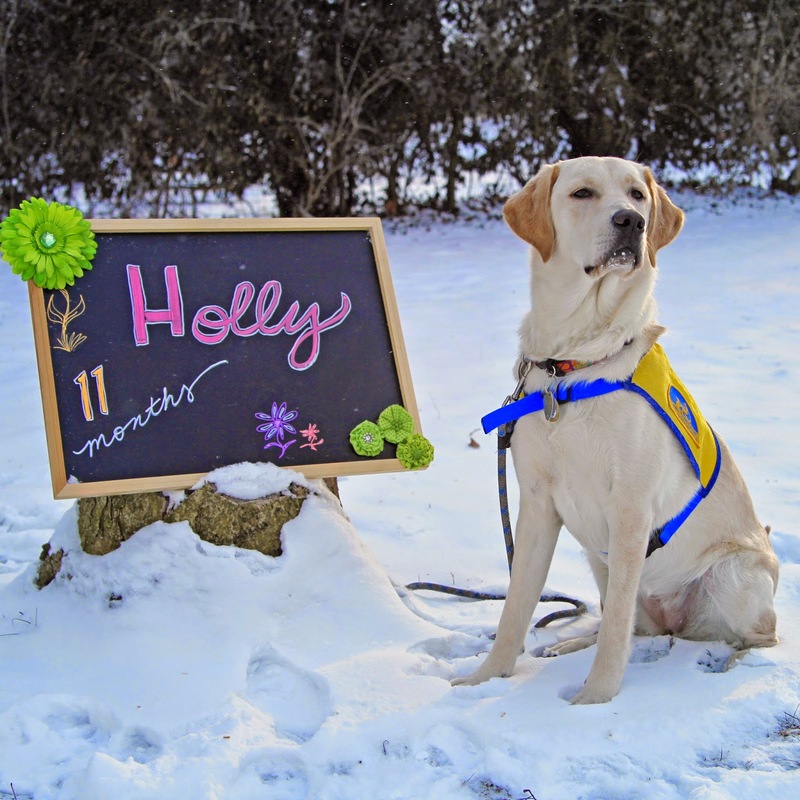 The latest Hero Litter update from the Canine Companions for Independence blog (click here for All Weather Pups) reminds me of these generous thoughts of happiness for others. From snow to sunny beaches, our Hero Pups are indeed made of Wash & Wear stuff. And today, the Hero Litter celebrates their eleven month birthday. 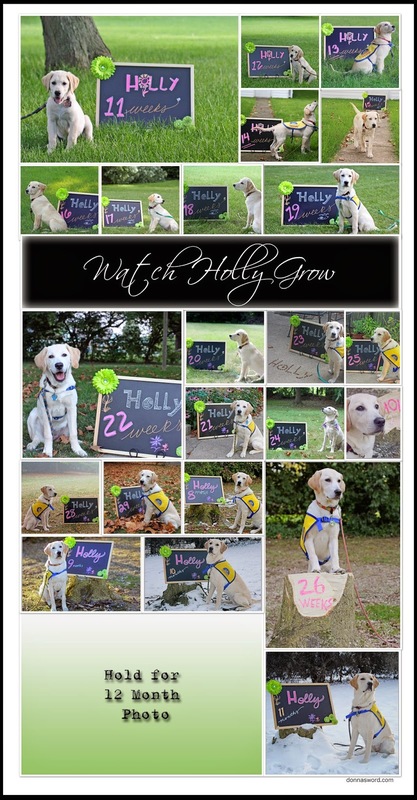 Holly poses for her monthly photo with the confidence of a puppy who is nearly full grown. One more photo left to add to the Birthday Collage. Let's all hope for a mild March. Or I may be making my own beach out here with cat litter or something. Happy 11 month birthday Holly! You are such a pretty pup! Thanks Cathy! Happy WW to you. Sometimes I surprise myself, especially when I can stay disciplined enough to carry through something like the Watch Holly Grow photo series. I'm pretty darn glad now to have these shots and hope her partner one day will appreciate them as well. Thanks for the comment, Vicki. And happy WW to you.